I havnt played a war game in about 6 months. 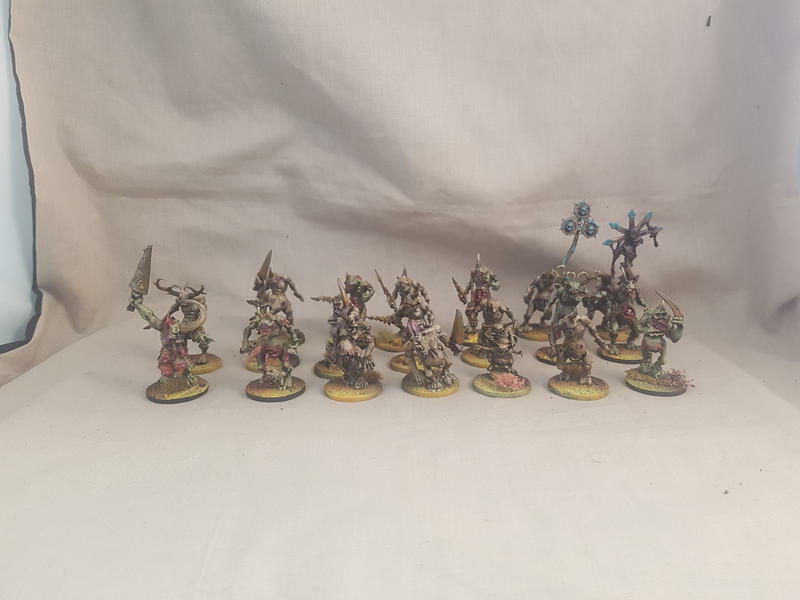 I don't think I've played AoS in about one and a half years. A good friend of mine bought the new box set and really wanted to have a games. 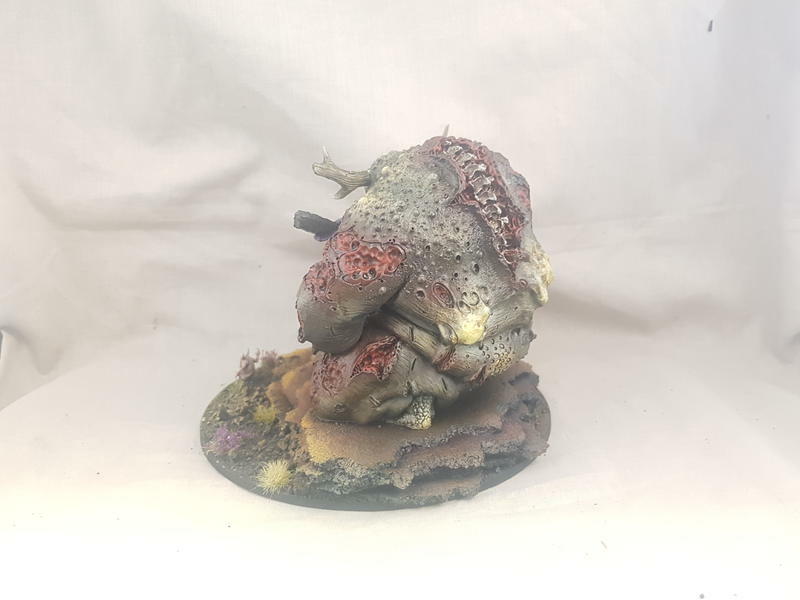 So decoded to dig out my old long and almost forgotten nurgle project. I don't get too much time to paint my models these days and even less to play but decided I would enjoy the new game ALOT more with painted models. So I guess this is make or break for me. I'm playing tonight so if you see more models on this thread in the future I guess I really enjoyed myself ? Anyways thought I would share these regardless. Comment's and criticism very much appriciated. 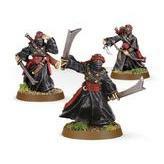 Bear in mind these are painted to a table top standard due to time constraints. Looks great. The boils and pustules looks good (or gross, depending on how you look at it). 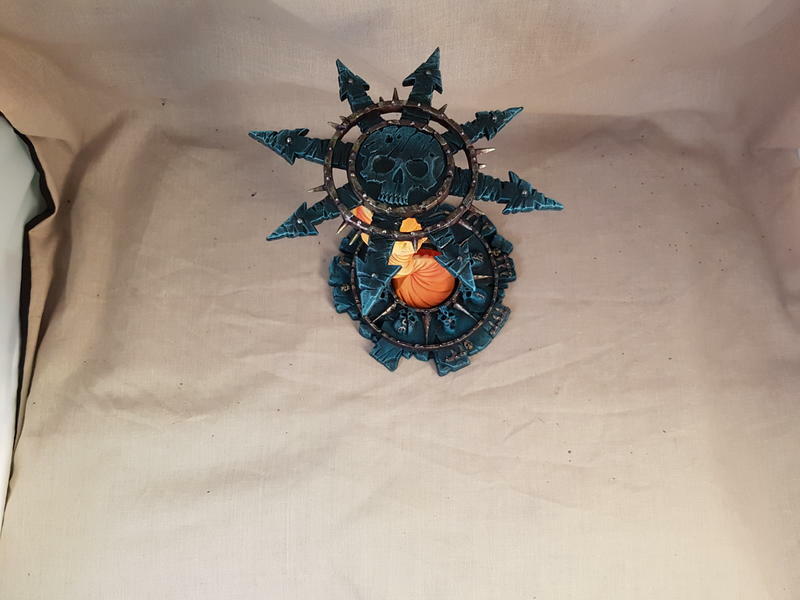 The only suggestion I could make would be to maybe paint the rim of the base. It looks a little unfinished. 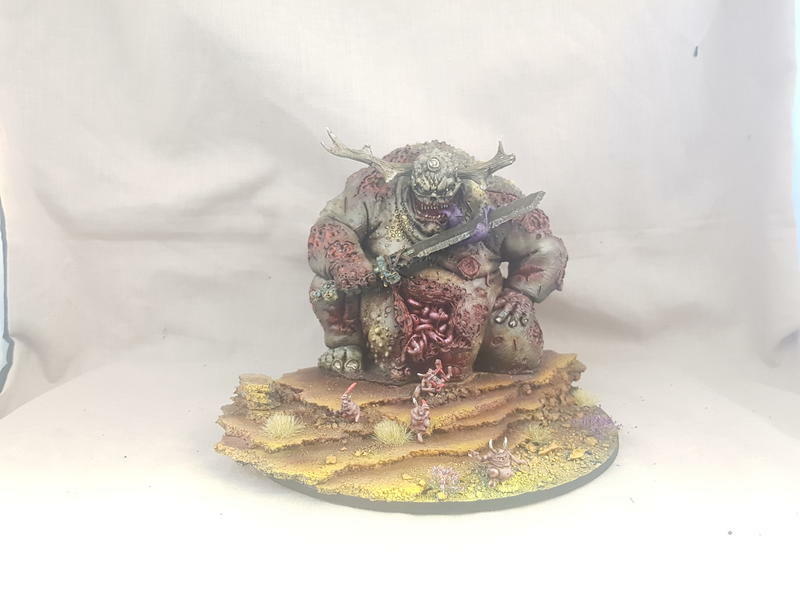 I hope you enjoy your game because I always enjoy looking at Nurgle stuff. 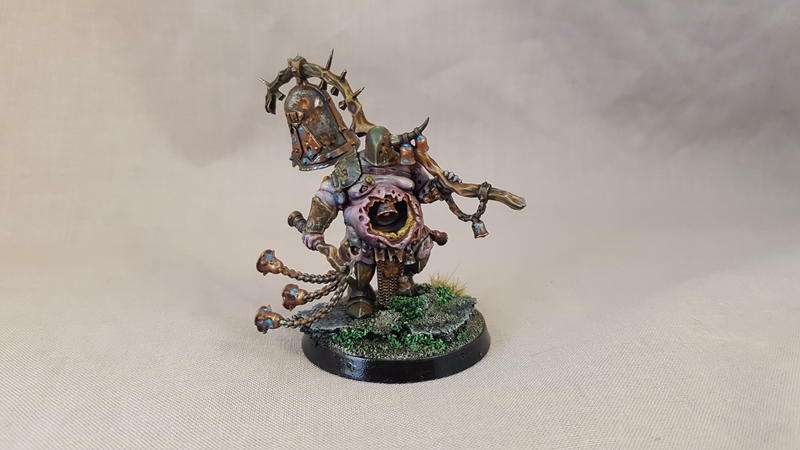 Love the little Nurglings that seem to tumble out of the Great Unclean Ones belly!  Hope you enjoy(ed) your game. For me the biggest tip when very busy is to make sure I have a place to leave 3/4 paints, brushes and a couple of models within easy acces. That way an half hour here or there is easier to find. Just my two cents. Thank very much. 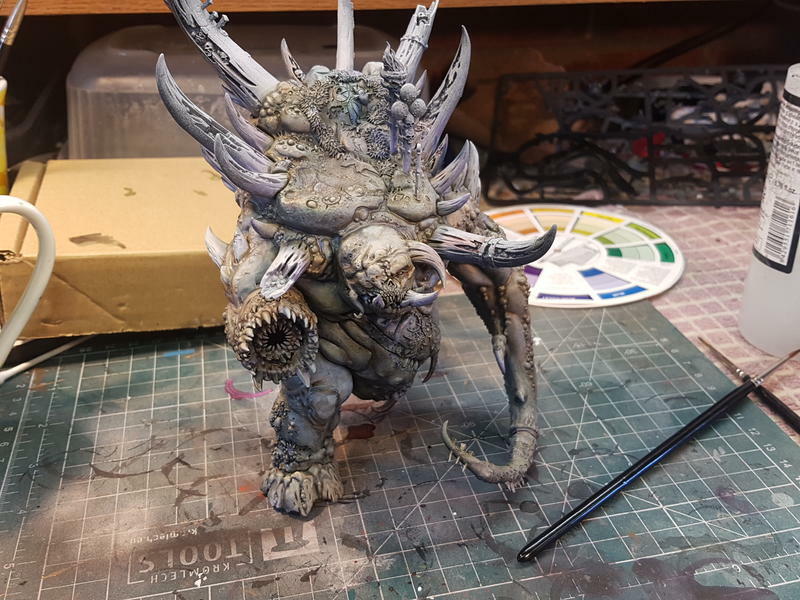 When I get the chance I want to make guts/intestines/tentacles for the little nurglings so it looks like they are dragging the big guy. Another little addition to my force. Only spent about an hour or so painting this. Don't even know if it will be used ? but at least it's done. 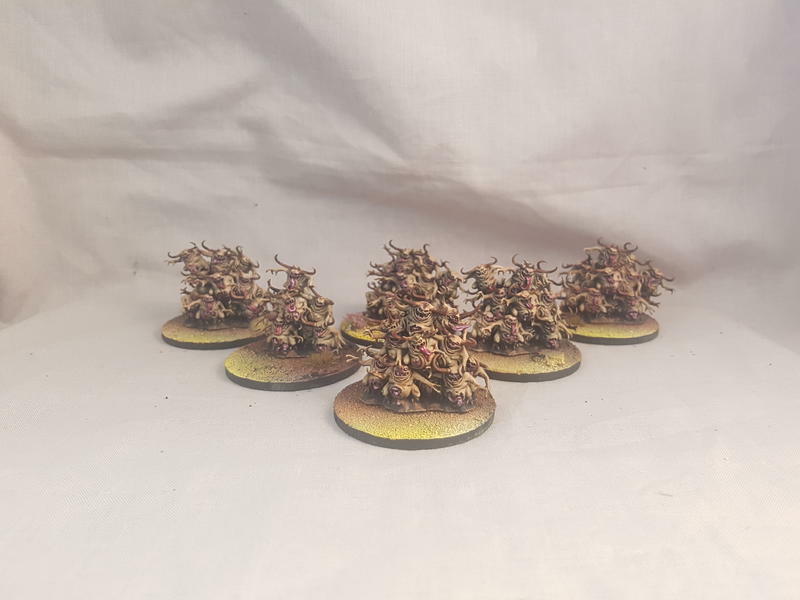 Next up will be my blight kings or maybe the glottkin? Also a bit miffed as I realise I now have to rebase all my models to the appropriate size thanks to the new rules update ? Been a while since I've done any work on my own models but slowly plodding along with the guys when I get the chance. 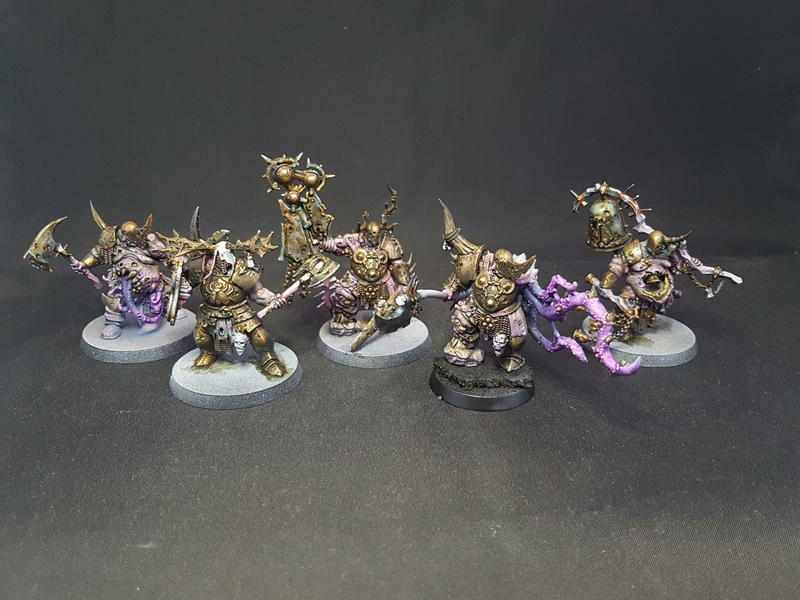 Got a bit more done one my motley crew of blight kings, didn't have an idea of where I was going with these guys when I started. Mainly just experimenting with colours etc but liking how they are turning out. 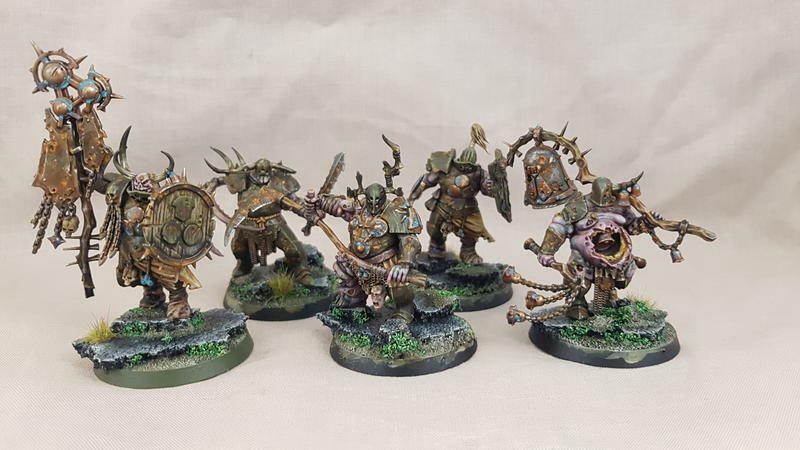 Always great to see great looking blightkings! I want to have each group of 5 kings look differnt but if put together they still look like a coherent unit. Just quality across the board. 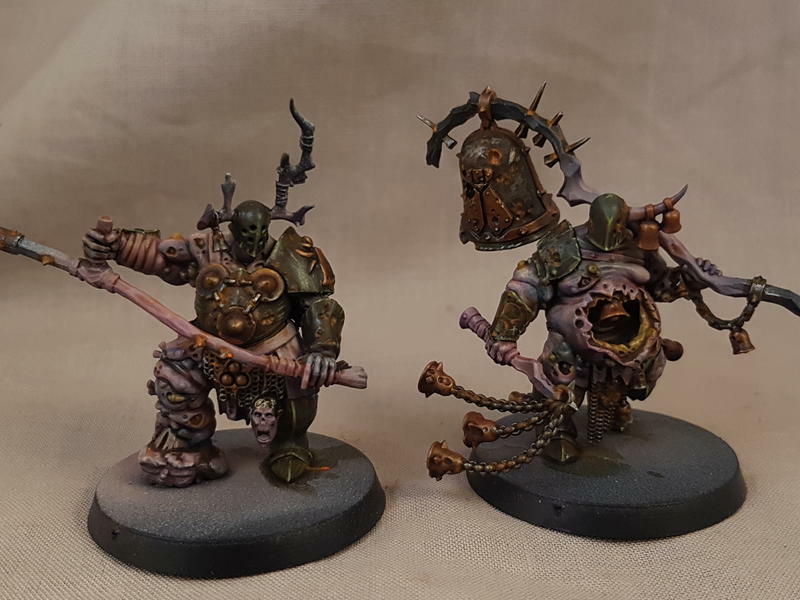 All the Nurgle stuff looks fantastic. 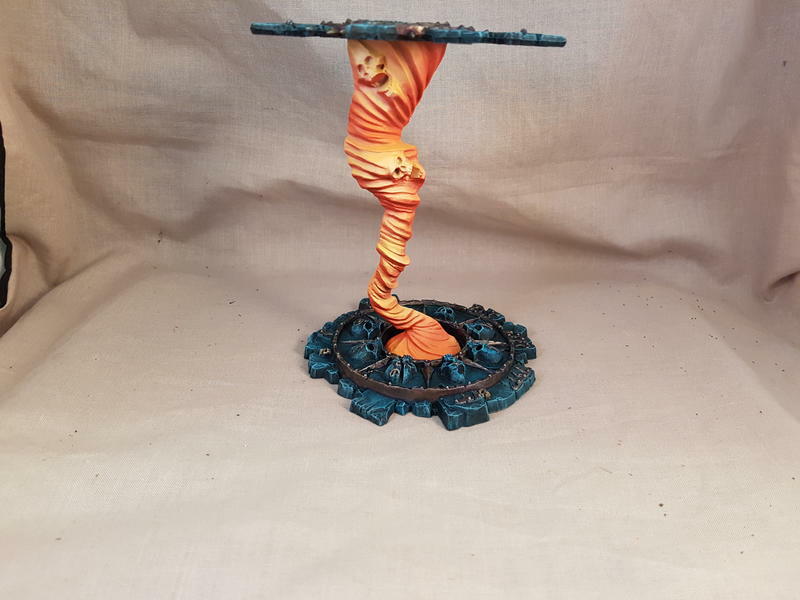 I love the Balewind Vortex also, the color contrast is wonderful, it will pop beautifully on the table. Keep cranking out the hobby candy!!!!!! Pretty much calling these guys done. Have decided on the basing theme for my army! 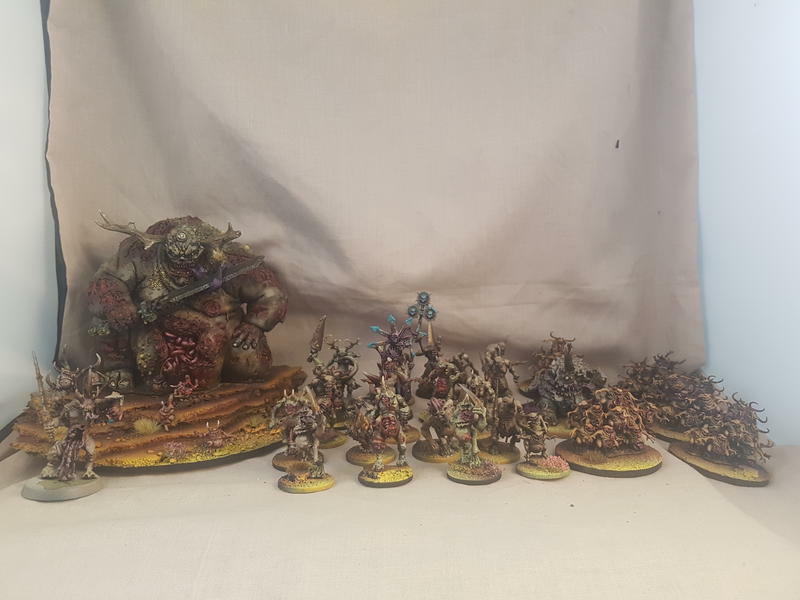 A not so nurgle garden of nurgle lol. Absolutely beautiful! 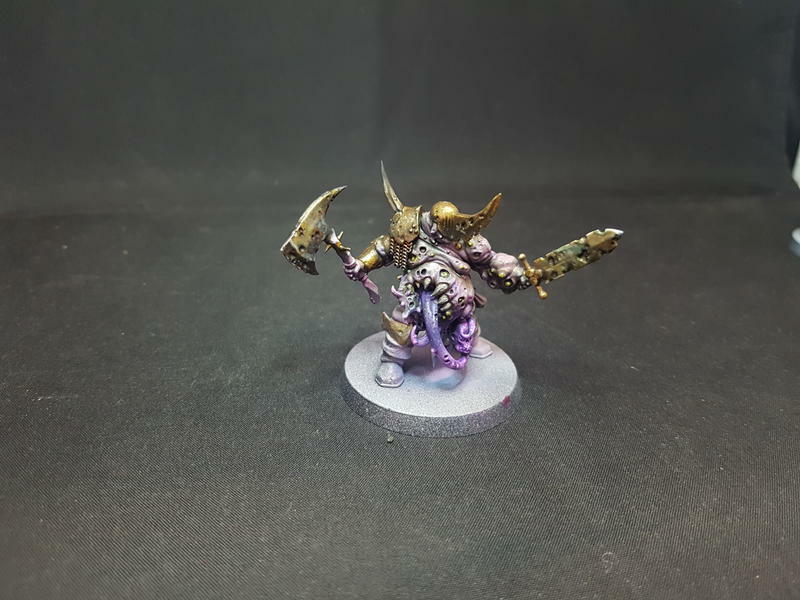 What is your recipe for the bases? What do you guys think? Any suggestions would be appreciated before I start mass producing bases . 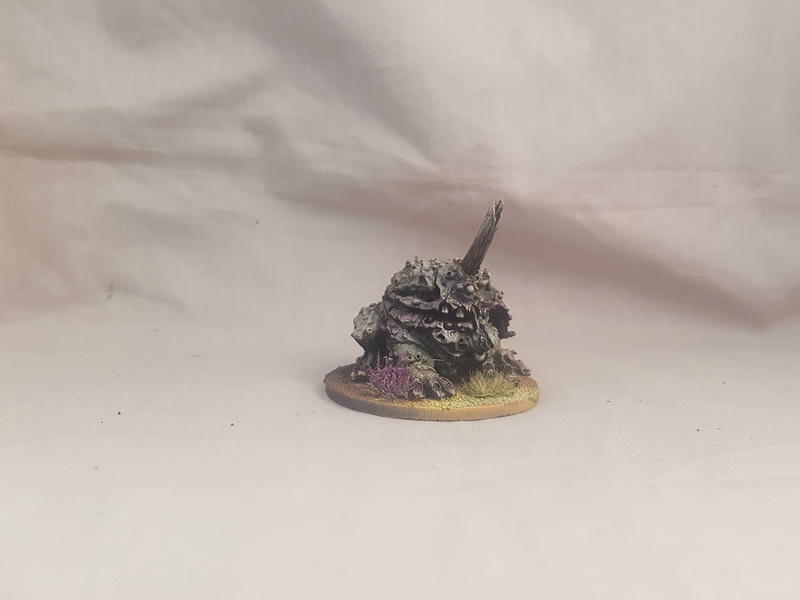 I really like the basing overall and they work really well as is. The only observation I would give is that the green dominate color composition of the bases blends into the greens of the minis a bit. I tend to like a to have my bases contrast more with my minis. Maybe add some differing color tuffs and foliage to break up the greens and yellows. Again this is a minor suggestion and overall your work is top notch. I am enjoying the pics. Thanks, that is a good suggestion. 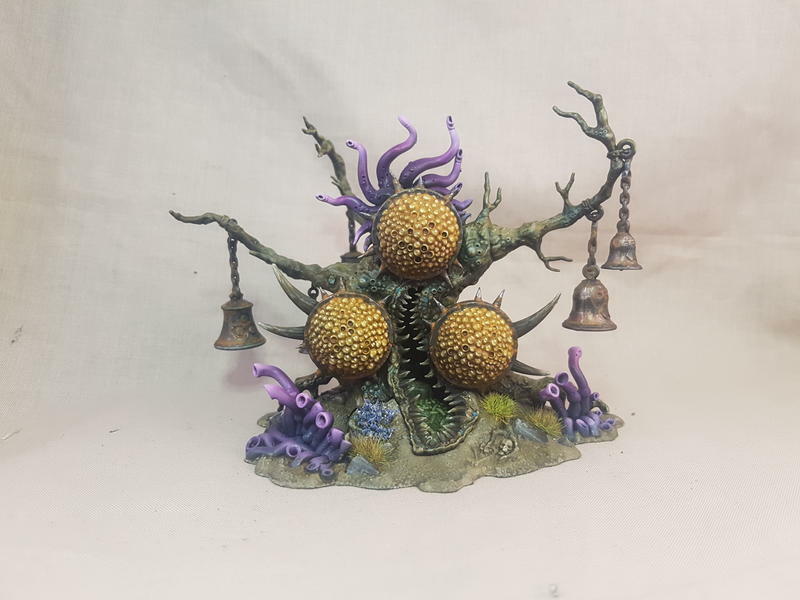 I am trying to get a garden of nurgle that's full of life. But guess it dosnt have to be green right? It's called paint rack, it's available on play store etc. It is a god send for someone in my position as I can keep customer records in it if they ever want additional units for armies I paint at future dates. Also for my own personal stuff which is painted very few and far between! 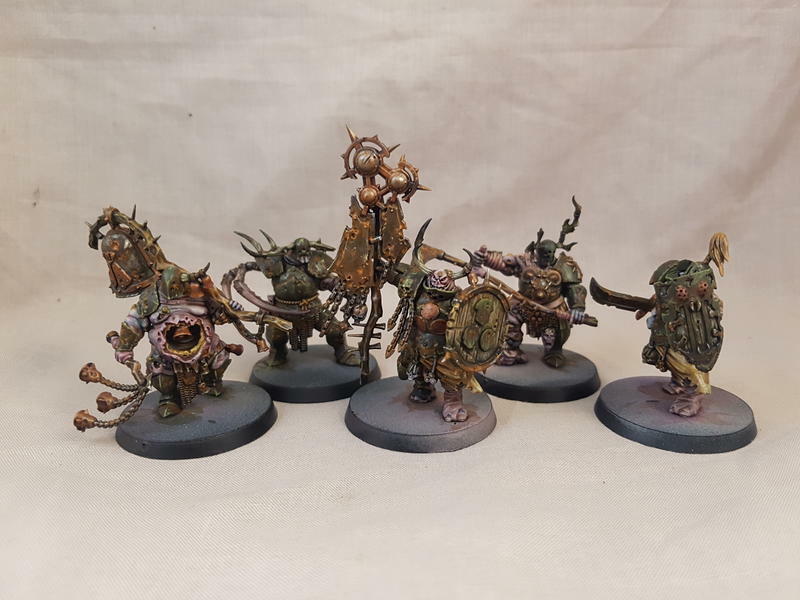 Bit more work do e on some more blight kings this weekend. 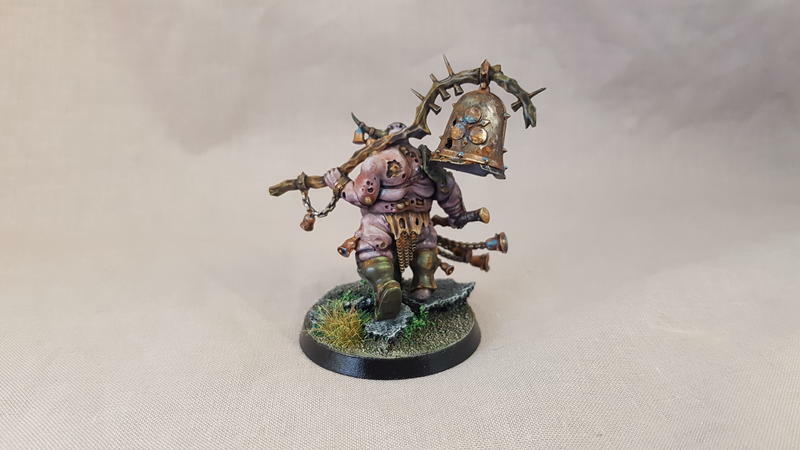 This was mainly an experimemt playing around with various metal effects/westhering using washes and glazes. Believe it or night all the metal on these started out as white! 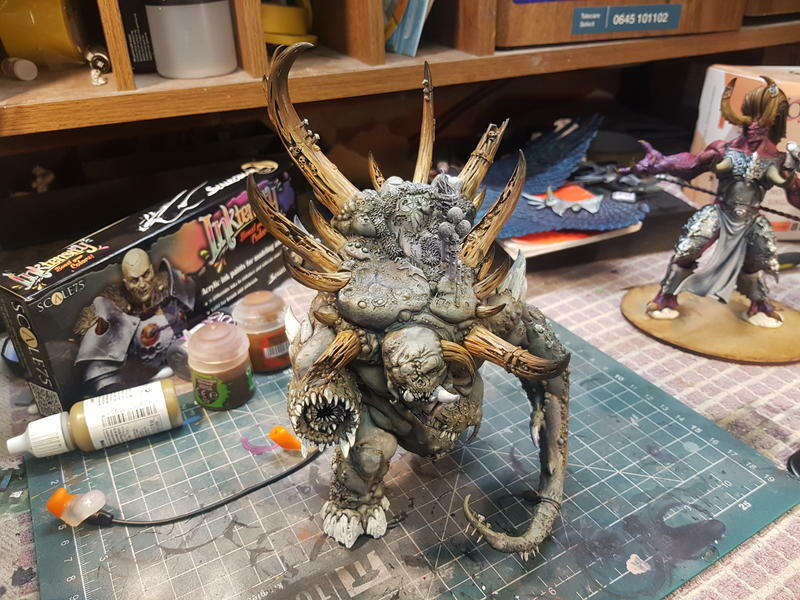 Made a start on the glottkin. Great fun playing with glazes to add warm and cold tones to the plaid flesh look I have gone for.